A photocopier or multi-function printer is one of the most important devices that a school has. Because it is an integral part of a school’s daily operations, the running of a photocopier can be one of the most important expenses in a school’s budget. Your photocopier can do more than just photocopy! Your copier may be able to sort, staple and even make booklets, such as those essential communion and graduation booklets. Investing time now in getting to know your printer will ultimately save you time with cumbersome tasks and importantly save you money in many ways. 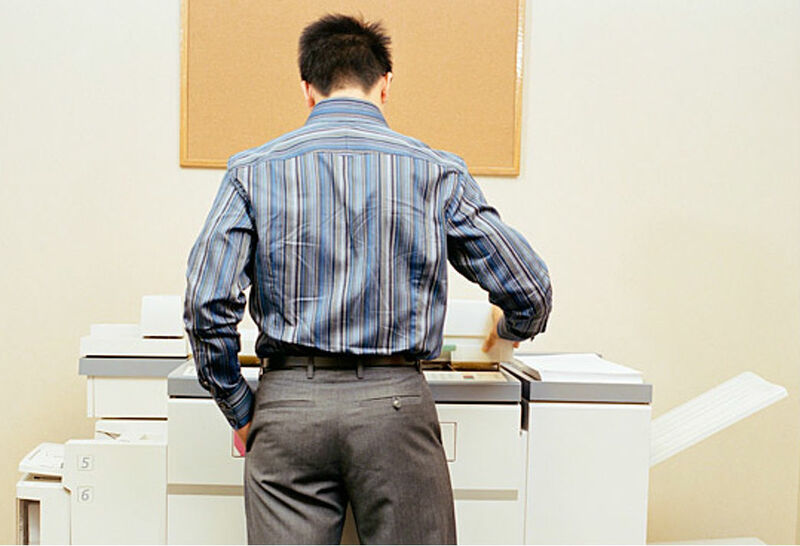 Ensure that all staff have received adequate training on the features of the copier. In fact this should be an essential part of the service from the company supplying the photocopier. Every photocopier has a suggested monthly cycle, i.e. the amount of copies that it is capable of each month. These suggested monthly cycles are there for a reason. Exceeding the copy quantity can reduce the life of your printer. Like a car, parts within the copier such as clutches and motors can burn out before their expected life-cycle if over-used. Your Service Engineer will be able to advise you on the suggested monthly copy quantity. – Advise teachers and school staff to design teaching materials around double-sided paper presentations and set the copier to print double-sided where appropriate. – Do not put paper through the copier twice as this will result in an inevitable paper jam. – While it may be tempting to purchase less expensive paper to save costs, we advise against this. Poor quality paper causes paper crinkling and overall reduced performance of the printer due to paper dust, so it will therefore cost you more in the long term. – While it may sound obvious, stress to users that it is important to check that the documents that they are printing or photocopying are error free before putting through the photocopier, thus avoiding re-prints. – Ask your Service Engineer about software to put in print controls such as quotas by user or department. These controls can be tailored and adjusted to suit all users involved. This cost saving solution is often called Print Management. – Use your photocopier to print instead of your desktop printer as the cost of printing on the desktop printer is 5 – 6 times more expensive. As technology changes, there will be opportunities to improve the use of your multi-function printer in your school. A good Service Engineer will be passionate about upcoming print technology. This is an area of major innovation from some very big global manufacturers. Don’t be afraid to ask what’s new! For example, SAMSUNG have introduced tablet, iPad and mobile printing. Through the use of SMART technology, you can now print from anywhere using your tablet or your mobile device. You can also scan to your mobile device using apps and Wi-Fi from your photocopier. At Able Office Systems, we specialise in large printers suitable for schools, and we particularly like the SAMSUNG range of multi-function printers and photocopiers, as they have a successful track record in schools in Ireland and the UK. Why not contact us in Able Office Systems for a free consultation on the specific photocopier in your school, whatever make or model! We would be happy to share with you our expertise in print technology in the education sector.